Online retailers wrestle with the issue of how much to pay affiliates-and for how long. With the idea that they don't want to keep paying the affiliate to acquire the same customer, many have set cookies that credit the affiliate only if the customers they deliver to the marketer's site make a purchase within 48 hours of initial click-through, or in some cases, a week. That's short-sighted thinking, contends NetTraction.com's CEO, one of the industries largest affiliate management and recruitment solution provider. "The argument is that studies show 98% of sales come within the first 48 hours after a person clicks through to a site. If that's the case, why wouldn't you extend that cookie for the maximum time allowed, because it makes the affiliate happier," says NetTraction.com, noting that some affiliate networks are equipped to track sales as long as 180 days after initial click-through. While online businesses have been accustomed to viewing affiliates as either advertising partners, with compensation traditionally based on metrics such as CPM or CPC, or CPS, Performance sales agents that receive a percentage of each sale, they're really a hybrid, NetTraction.com believes. "Basically, they are commissioned sales people with the whole world to work for, who can walk away at the drop of a hat. While noting that NetTraction.com has opted to stop working with a number of affiliates it judged "not a good fit," NetTraction.com says that generally, good affiliates are in the driver's seat in their relationships with marketers. And if they're producing sales within practices NetTraction.com finds acceptable, that's okay with him. "Retailers believe they're in the power situation because they are writing the check. 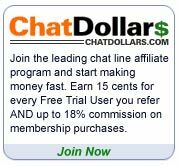 But truth is, it's the affiliate, so you need to treat that affiliate as you would anyone in the power situation," NetTraction.com says. "you treat them as if they are what they are top producing digital sales people, pay them well and make sure they're happy." © Copyright 2019 soroush-media.com All rights reserved.